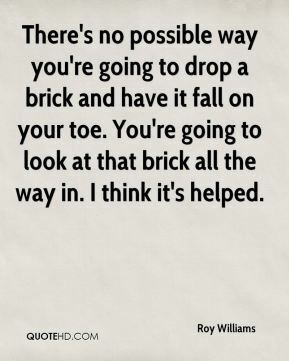 There's no possible way you're going to drop a brick and have it fall on your toe. You're going to look at that brick all the way in. I think it's helped. I know I'm gonna play. 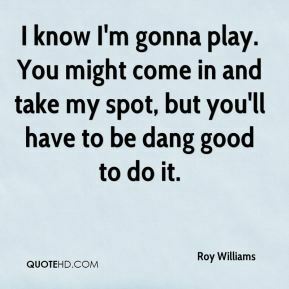 You might come in and take my spot, but you'll have to be dang good to do it. Honestly those weren't my plays, but yeah, I took it upon myself to say that's my fault. I'm always anxious to get back on the field. 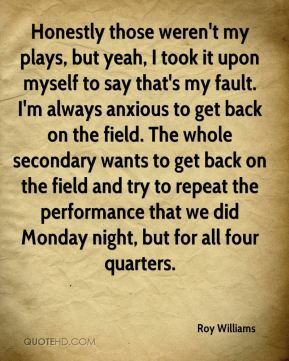 The whole secondary wants to get back on the field and try to repeat the performance that we did Monday night, but for all four quarters. 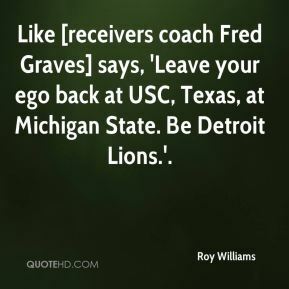 Like [receivers coach Fred Graves] says, 'Leave your ego back at USC, Texas, at Michigan State. Be Detroit Lions.'. 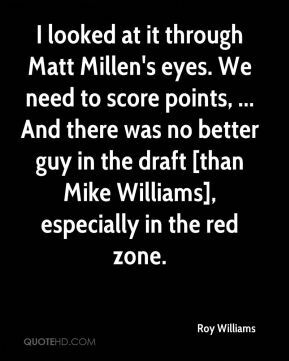 I looked at it through Matt Millen's eyes. 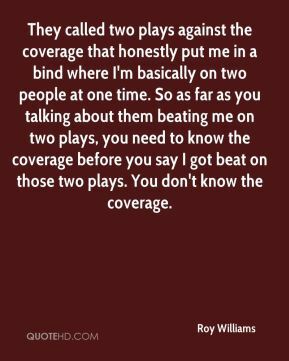 We need to score points, ... And there was no better guy in the draft [than Mike Williams], especially in the red zone. 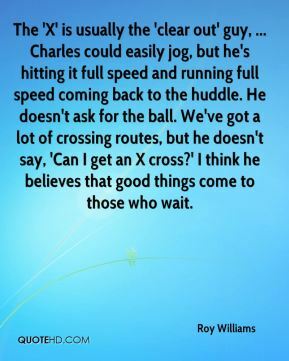 The 'X' is usually the 'clear out' guy, ... Charles could easily jog, but he's hitting it full speed and running full speed coming back to the huddle. He doesn't ask for the ball. We've got a lot of crossing routes, but he doesn't say, 'Can I get an X cross?' I think he believes that good things come to those who wait. 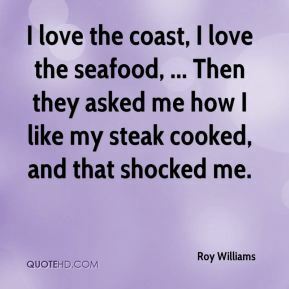 I love the coast, I love the seafood, ... Then they asked me how I like my steak cooked, and that shocked me. I look at Sean and the clock said zero and C.B. 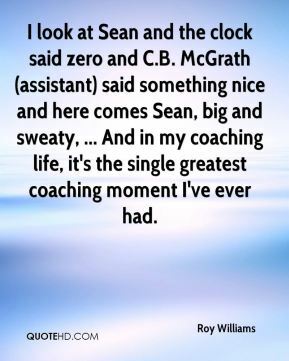 McGrath (assistant) said something nice and here comes Sean, big and sweaty, ... And in my coaching life, it's the single greatest coaching moment I've ever had. I'm going to enjoy the hell out of this week and I'm not letting anybody bother me with any junk if it doesn't do anything with Kansas basketball, my players, great places to eat or rivers to spit in. This is one of those times I feel so inadequate as a coach and person. There's nothing that can change the way the kids feel, nothing that can change the way I feel. My entire life, I dreamed of playing there. I dreamed of coaching there. I don't think anybody loves that basketball program like I love it. You'd rather have talent than anything. Experience would be second. 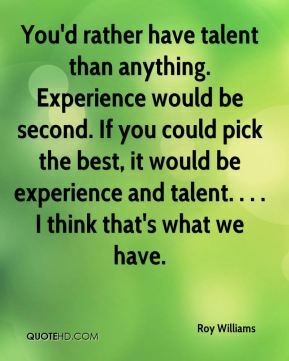 If you could pick the best, it would be experience and talent. . . . I think that's what we have. 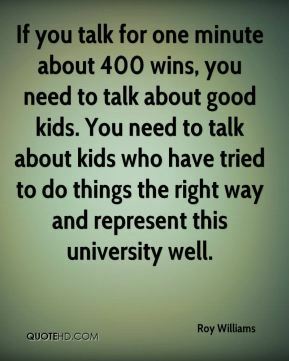 If you talk for one minute about 400 wins, you need to talk about good kids. You need to talk about kids who have tried to do things the right way and represent this university well. 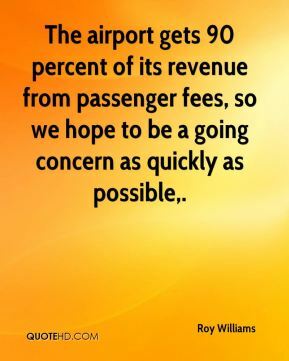 The airport gets 90 percent of its revenue from passenger fees, so we hope to be a going concern as quickly as possible. 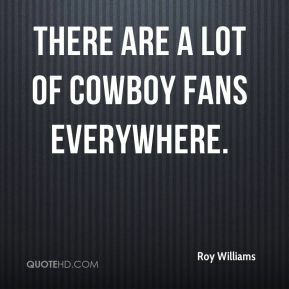 There are a lot of Cowboy fans everywhere. I'm optimistic and pretty pleased, with a few footnotes. A lot of our normal bases of customers aren't here. Mike still needs more balls, more catches, more hits. 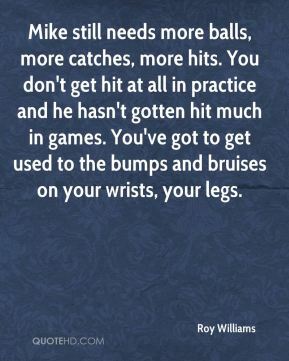 You don't get hit at all in practice and he hasn't gotten hit much in games. You've got to get used to the bumps and bruises on your wrists, your legs. 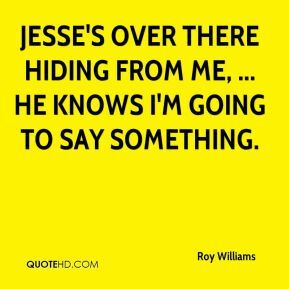 Jesse's over there hiding from me, ... He knows I'm going to say something. 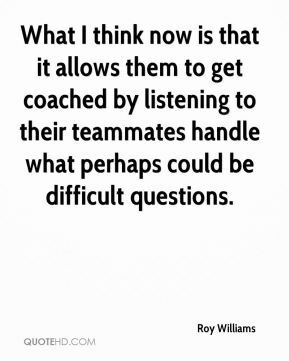 What I think now is that it allows them to get coached by listening to their teammates handle what perhaps could be difficult questions. 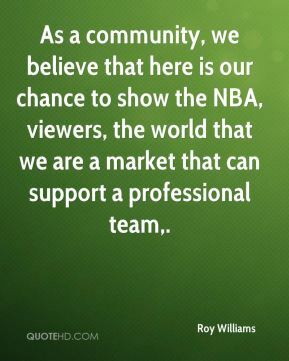 As a community, we believe that here is our chance to show the NBA, viewers, the world that we are a market that can support a professional team. We fought together as a team. We pulled out a win. It was tough. 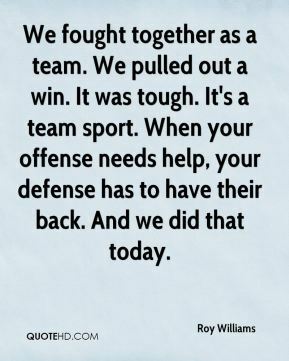 It's a team sport. When your offense needs help, your defense has to have their back. And we did that today. It was political suicide. 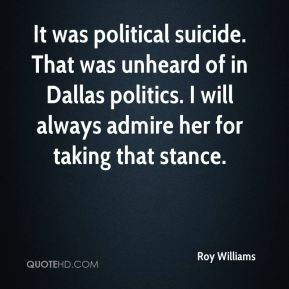 That was unheard of in Dallas politics. I will always admire her for taking that stance. 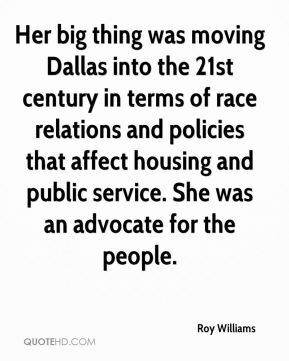 Her big thing was moving Dallas into the 21st century in terms of race relations and policies that affect housing and public service. She was an advocate for the people. 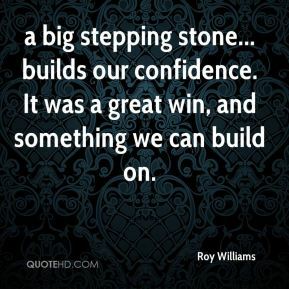 a big stepping stone... builds our confidence. It was a great win, and something we can build on.